Dutch barn construction circa. 2250 sq ft approx (30ft x 75ft approx) with concrete floor, electricity and water. Additional yard area available. 2,000 – 4,000 industrial premises to let. 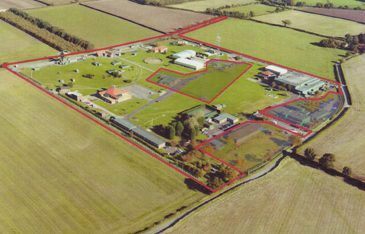 Unique opportunity to purchase a former RAF base used until recently as a Radar Monitoring Station. Suitable for data centre / leisure or commercial uses.